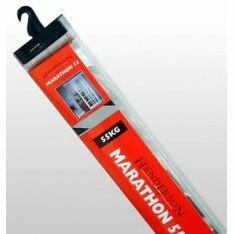 Here at Ironmongery Experts, we have a range of high quality Sliding and Pocket Door Products. Our selection offers you the very best in both design and durability, ensuring you achieve a stylish and long-lasting finish. Sliding and Pocket Doors add much needed practicality to both doorways and cupboards within commercial and domestic buildings. This allows simple access to stored items as well as easy passage through rooms. We have a wide range of Sliding and Pocket Door Gear, providing you with all the required components necessary for the installation of sliding mechanisms. There are small scale designs suited to cupboards and cabinets, as well as larger models for wardrobes and doorways. Sliding Door Locks and Latches are essential for sliding doors as they add structural integrity. 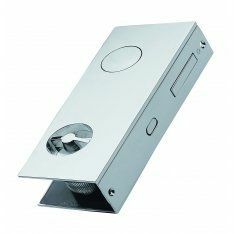 We have a range of products designed to enhance the strength of locking mechanisms, ensuring doors and cupboards are always closed in a flush and tidy fashion. Finally, you can add a neat and practical method to operate your sliding products with our range of Sliding Door Furniture. 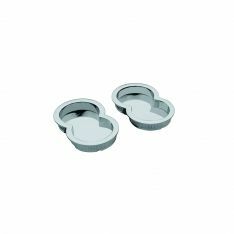 We have an extensive selection which includes; rectangular flush pulls as well as lock & strike plates.